If you live in a neighborhood with overhead power lines, you've probably experienced the dreaded power outage at least once in the last year or so. Storm comes along, knocks down a tree or telephone pole, and everything goes dark. At first it's kind of fun - especially for the kids. Gather the candles and flashlights. Have a camp out in the living room. Tell stories. But it gets old fast. Don't open the fridge. Can't use the stove or microwave. Can't even make toast! No TV. Phones and tablets start to run out of juice. Hot water runs out. Heaters, air conditioners, and fans are bricked. The longer it lasts the more you realize how frustrating life is without power. 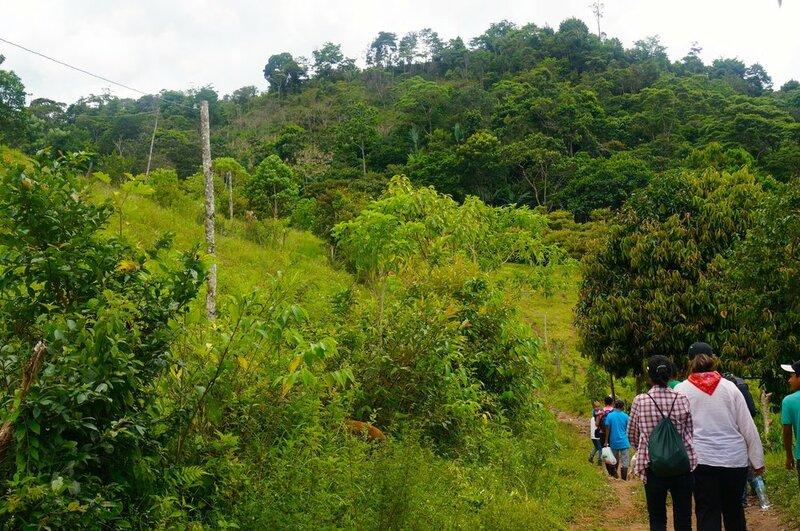 The Naranjal neighborhood of La Colonia, Nicaragua has never had electricity. Not because they didn't want it. They just didn't have city power lines. 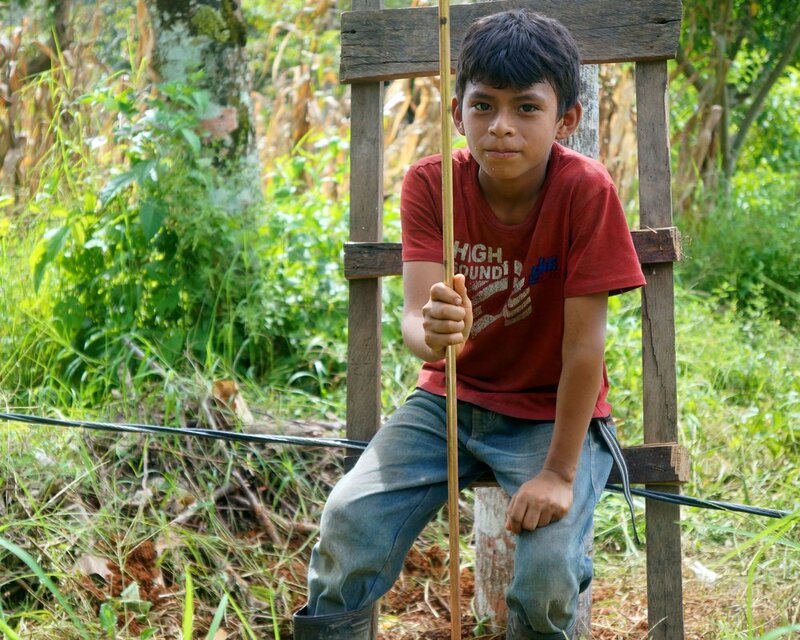 Antonio Lacayo's father worked for the Nicaraguan electric company Union Finosa for over 30 years, yet still came home every night to a house without electricity. But today the sale of their cacao beans changed everything. After voting to use their cacao profits to bring in electricity, the community elected Ms. Elucadia Soza to lead the project. First thing she does is contact the public works department in Managua. She gets her town on the list, but is told they first need to build a road to bring in heavy equipment and large flatbed trailers with poles and spools of wire. You can read about that adventure here. With the road completed, Ms. Elucadia reports back to the public works department. As happens so often, resources are stretched too thin and they cannot make good on their promise. All they can provide is one technician and spools of power line delivered to the bottom of the mountain. No heavy equipment, no trucks, no cranes, no augers, no poles and no team of workers. Undaunted, Ms. Elucadia gathers the community and creates groups of volunteers to tackle the project by hand. They will string over 2 kilometers of line to reach the community. The distance requires 15 poles across treacherous mountain landscapes, strategically placed across ravines and valleys. 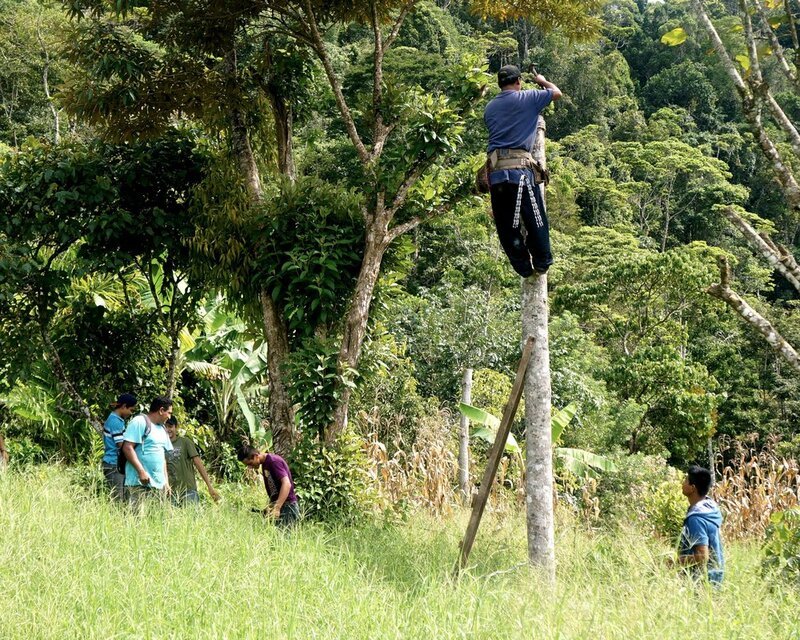 First they need to cut and shape 15 poles from trees using only machetes and hand saws, one at a time. Each pole requires a minimum 3 meter post hole to be dug by hand. Finally all of the poles and spools of power line need to be hauled up rough mountainous terrain, you guessed it, by hand. It took 4 people to carry one pole, and 5 to roll, drag, and carry one spool. Once the main line was installed, electricity is now being fed to individual homes up and down the mountain. Enliven hired technician Jose Armando from Union Finosa to oversee installation of the main line and to educate families on how to safely utilize their new found power. The result: 30 homes are now powered up. Imagine flipping a switch and turning on a light bulb for the very first time. Antonio Lacayo used to buy boxes of candles every week so his kids could do their homework. Now the kids are doing homework on laptops and learning how to do the accounting for their families' cacao farms. And it's all thanks to the production and sale of their cacao beans. 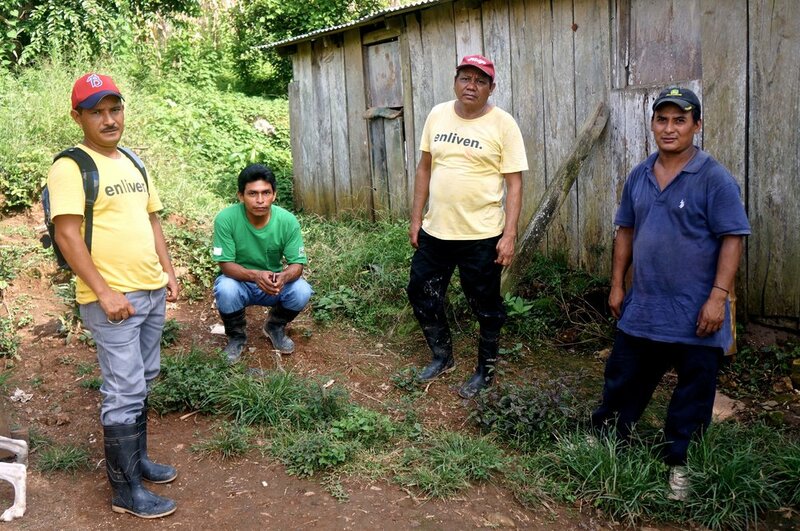 You can get their fine flavor heirloom cacao beans here and help continue their community development projects.